A former Governor of Anambra State, Chukwuemeka Ezeife has warned against alleged plans by President Muhammadu Buhari’s administration to frame-up former President, Olusegun Obasanjo. Nigeria’s Third Republic governor of Anambra State, Chief Chukwuemeka Ezeife warned last night that framing ex-President Obasanjo would turn out to be a final bus stop for the President Buhari-led All Progressives Congress (APC), government. 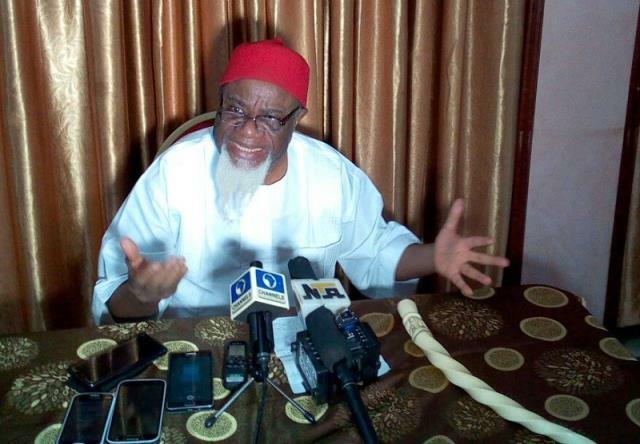 Ezeife in a statement on Friday, said Buhari’s attempt to pull down Obasanjo will fail.